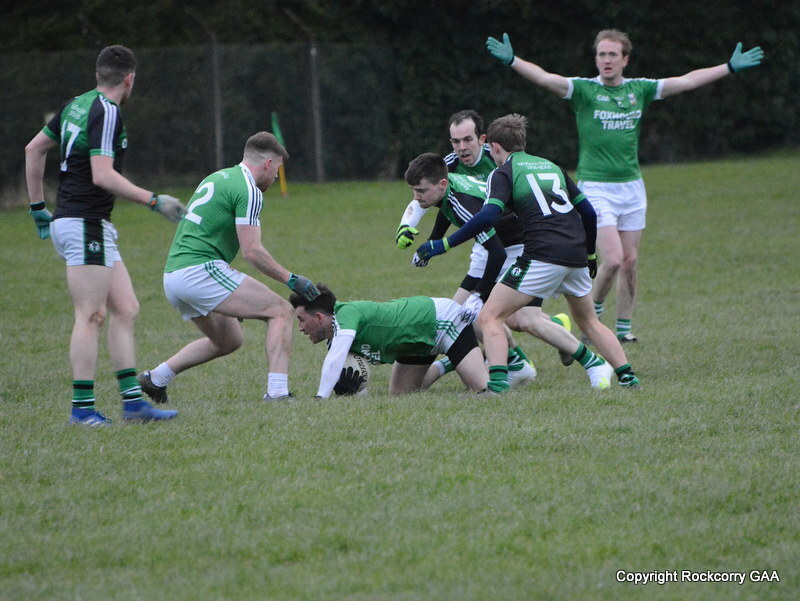 Achievements both on and off the field were recognised last night, Friday 28th February, when we held our annual social & presentation night in Fitzpatrick’s. 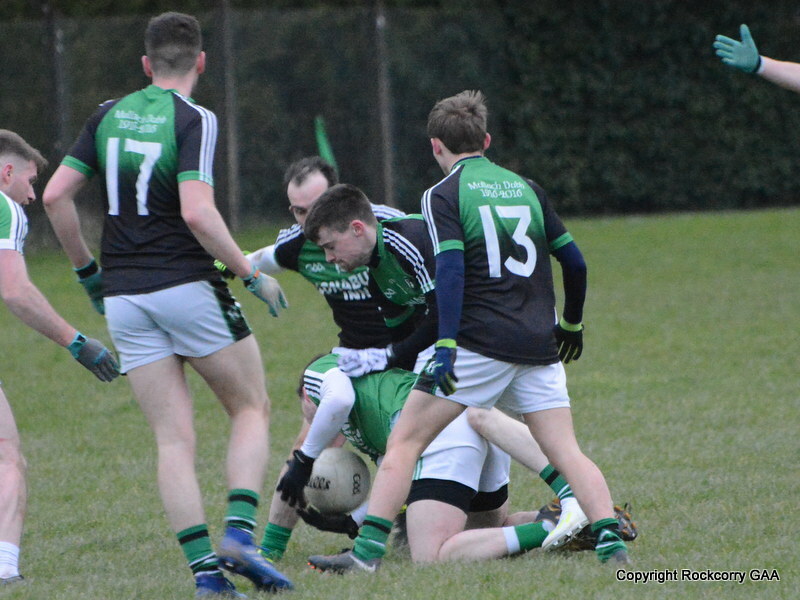 Before the season started we knew that playing senior football was always going to be very difficult and challenging and to single out one player who stood out from the rest is also very tricky because all the lads deserve much applause for their commitment, dedication and performances during a tough and demanding league campaign. 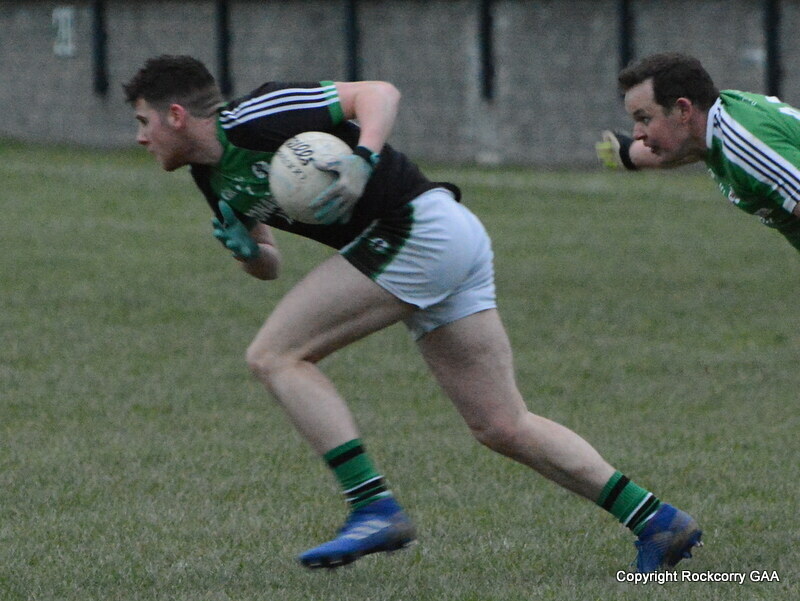 However, having said all that, Noel Carroll, or better known to his team-mates as “Nudie”, was truly immense for the team during our historic senior season playing in the top flight of Monaghan football and for that reason he was named the senior player of the year 2013. Noel Carroll receives the Senior Player of the Year Award 2013 from club chairman Jimmy McGeough. We can all agree that there were many thrilling clashes last year and it generated a lot of talking points and Noel was a central figure in the team and it was not just one performance that made him stand out as he produced a number of stunning performances. He is one of the clubs most committed and devoted players and his performances throughout 2013 were both outstanding and consistent while his attendance and dedication at training was exceptional over the whole year. Not only is he a skilful player but he also has a great attitude and love for the game and is always looking to push ahead to the next level. He has many facets to his game (which obviously he picked up from his big brother!) including determination, skill, resolve, strength, attitude and playing mostly on the half-back line he exercised one of his greatest qualities his ability to exert pace to great effect and on many occasions his now trademark solo runs forward was a standout feature and resulted in some very impressive scores as he cumulated an impressive 5-17 through-out the league and was our highest scorer from play. Football is off course a team game but I think it is fair to say that he has grown to become a major influence and was to the fore in everything the team did in 2013 and he was a driving force behind some of our better performances. 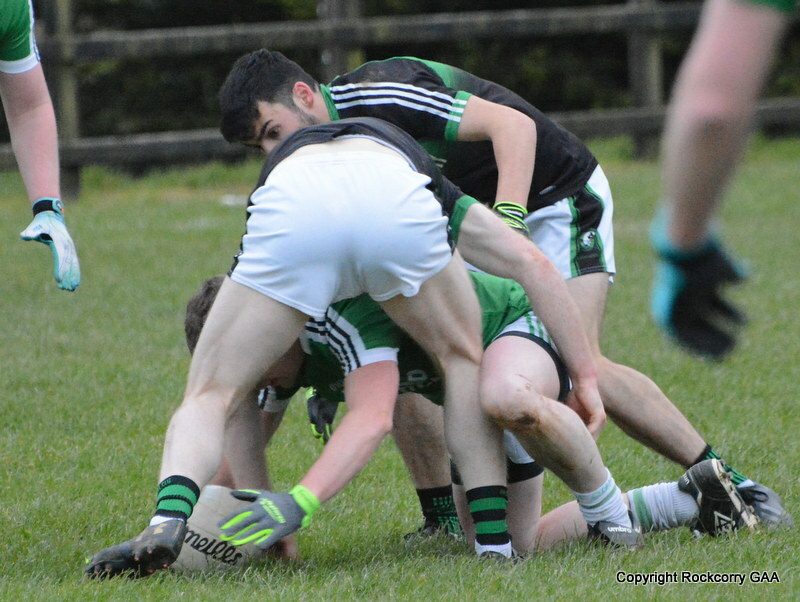 They say, the test of a really good player is to produce the goods against top-class opposition on the big occasion and against Ballybay and our neighbours Latton in the senior football championship we all witnessed one of the finest individual performances of a player ever to wear the ‘Green & White’ jersey. Without doubt he is one of the finest players of his generations with countless abilities that include the speed of Usain Bolt, the finesse & power of Mohammad Ali, the passion of Rafael Nadal and he has the enthusiasm and the willpower to deliver for his club which for me is the most appealing factor. Congratulations little brother on a fantastic achievement on being named senior player of the year 2013 and I look forward to supporting you and all the lads in the clubs endeavours of returning to the top flight of Monaghan GAA in 2014. With regards to the reserve player of the year it was no coincidence that Garry Calvert won the managers vote after an impressive season with the reserve team. I imagine you’re all familiar with the well-known saying that goes, “the old dog for the hard road” and just like a fine bottle of Cabernet Sauvignon Garry is maturing better with age as he continues to deliver courageous and impressive performances. 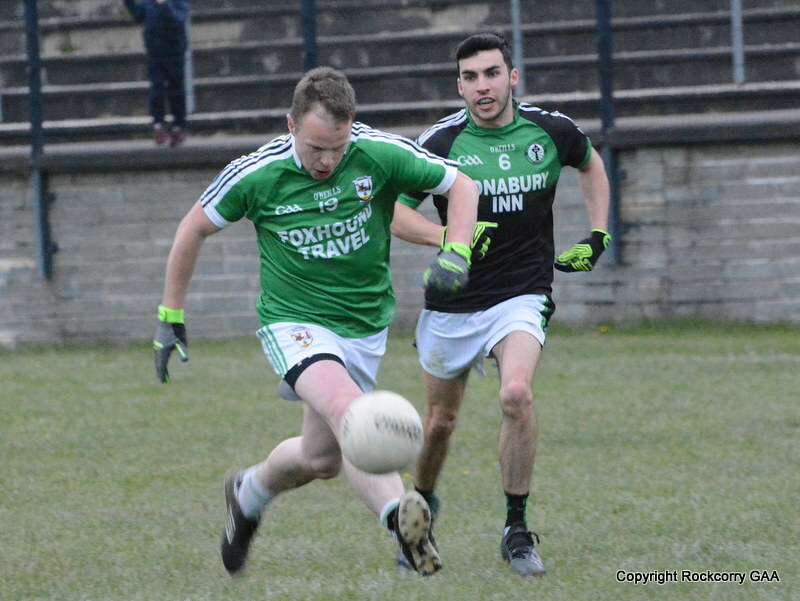 He remains totally committed to the club and has relished a long and illustrious playing career that sadly did not yield any medals until recently when he experienced the enjoyment of winning as a member of the historic Intermediate winning team that captured the McAviney Cup in 2012. His determination to put in the hard work at training is very evident because he seldom misses training. He works hard; he plays harder and does not dodge the hard craft and does not shy away or offload responsibility and while he maybe approaching his twilight years he has lost none of his zest or competitiveness. He is renowned for his no nonsense approach and a notable feature of his character is his fiery spirit which more than often takes him to the edge of the limit as he is always one to get ‘stuck-in’ to the action! Actions are sometimes greater than words and he has proudly poured his heart and soul into the club. He is a colourful character, an outstanding club man, an outstanding player whose heart and whose interest is still very much about wearing the green & white jersey. He may have a short fuse (or perhaps even no fuse) but we need characters like this in the game and like most players Garry prefers to do his talking on the pitch rather than off it! He always puts in an honest shift and will always leave the field after giving every ounce of energy and when the pressure is on his experience and craft is more suited for the hard road. Let me tell you folks there’s life in the old dog yet! Congratulations Garry on a tremendous year and I wish you and indeed all the lads a very enjoyable and successful 2014.